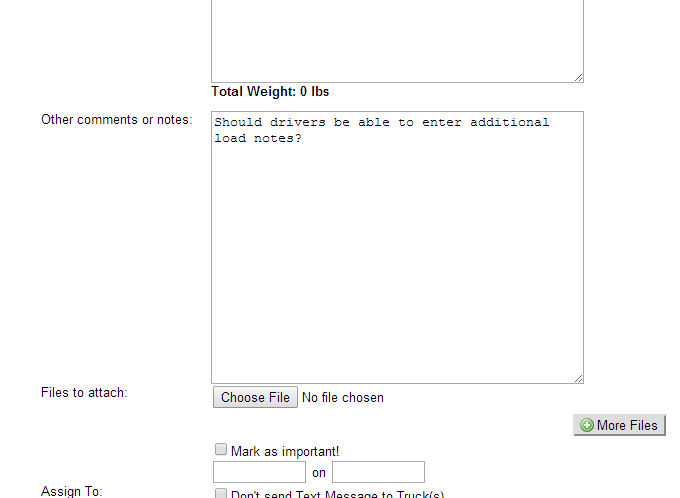 How many of you have an opinion on whether a driver should be able to add to load notes? 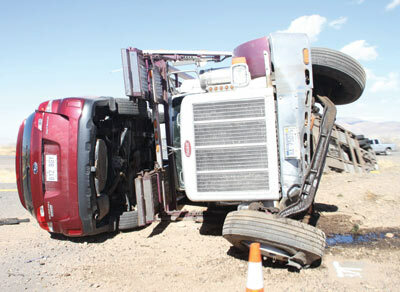 Reported by the Kingman Daily Miner. 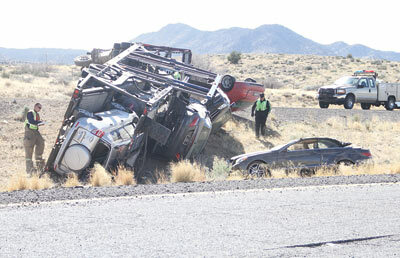 Four people were treated for minor injuries at Kingman Regional Medical Center following a two-vehicle collision on Interstate 40 east of Kingman Thursday afternoon. Reward offered for info on cars stolen from ADESA. Anyone with information the suspects’ identity is asked to contact Detective S. Dikeman of the LCSO Auto Theft Unit at 703-777-0475. Callers wishing to remain anonymous can call Loudoun Crime Solvers at 703-777-1919. If the information provided to Loudoun Crime Solvers leads to an arrest and indictment, the caller could be eligible for a cash reward of up to $1,000. Three cars – two of which are believed to be those stolen Nov. 15 from the ADESA Auto Auction on Old Ox Road – were spotted on surveillance video along with three suspects and authorities are now trying to identify and locate the men, according to the Loudoun County Sheriff’s Office. The video was released to the public last week, along with information about cars that have been reported stolen from the auction house on Nov. 13, Nov 15 and Jan. 8. Two of the cars in the video were stolen Nov. 15, according to an LCSO report. A third car in the video was reported stolen in Prince George’s County, Md. Investigators suggested the men could be part of auto theft ring that’s operating throughout the Washington, D.C., region. The video shows three suspects arriving at a gas station/convenience store in the stolen vehicles, including a black BMW X6, a red Audi S6 and an SUV. A black Audi A6 was taken from ADESA Nov 13 and two black Mercedes Benz sedans were taken Jan. 8. The suspects can be seen in the video changing license plates on the cars. They won’t notice a few extra miles on the odometer. But what if I get pulled over! A Florida man was arrested after he allegedly took a customer’s corvette for a date-night joy ride. Ronald Francis Kelly, 49, works for an auto transport company and was in Pearland on a two-day layover when the incident was reported. Pictured here: Pearland Police call the auto transport company to ask if Kelly (pictured seated at right) is authorized to drive the customer’s vehicle. The company said no; Kelly was only authorized to load and unload customer’s cars. The owner was also contacted who requested charges be filed. The deal makes United Road the second-largest car hauler in North America, the company said. 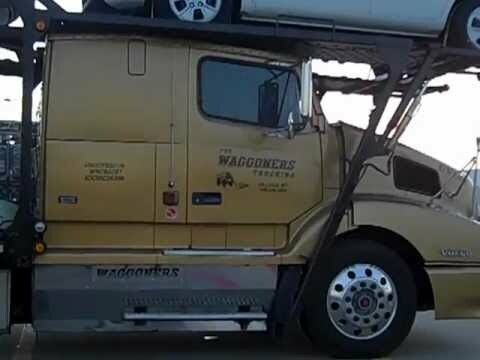 The combined company is expected to operate out of 75 locations in the U.S. and Canada and haul more than 2.5 million new, used and specialty vehicles in 2014, the company said. 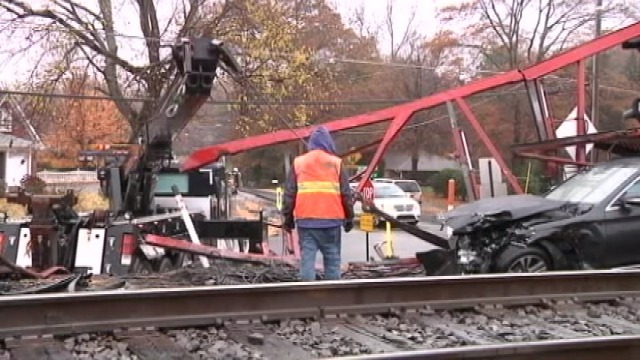 Auto Transporter hurt in train wreck. 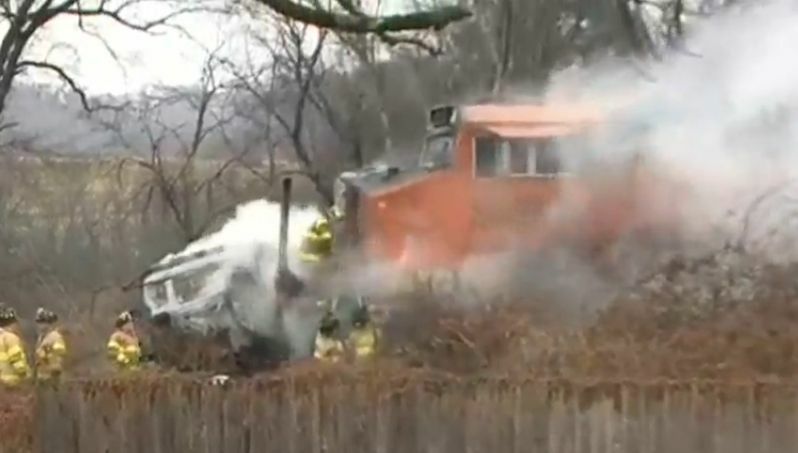 An auto transport driver for EKO Auto Transport was seriously injured when his truck was struck by a train and burst into flames. The impact ejected the driver onto the tracks. The last report on the driver was that he was in serious but stable condition with multiple fractures. Article here and videos here. 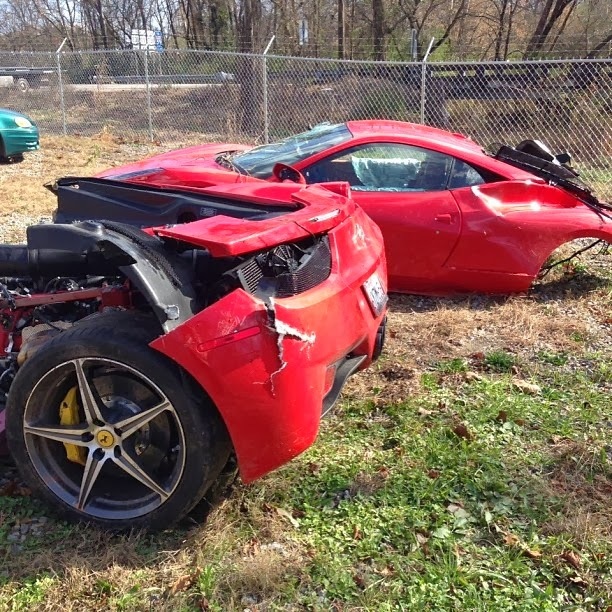 This is on zero2turbo.com: An employee from a transport company decided to have one last spin in the prancing horse before loading her when things went horribly wrong. The car went out of control at around 140 mph (225 km/h) before losing control, slamming into a post and then breaking into two parts. The driver apparently ended up in a coma in hospital and I think the passenger suffered extensive injuries. This occurred in Birmingham, Alabama. 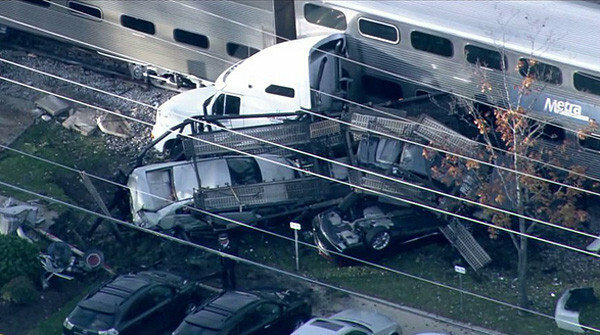 This is off of FOX5, Car haulers just don’t hold up very good to a train. This story is off of the .